If you are anything like us, you love to travel. Near, far- anything for something new and exciting, or just a change of scenery. There is so much to see and do- and nothing like summertime to get the blood moving and one excited for travel. However- just because summer is coming to an end doesn’t mean that travel has to, not by any means. Fall travel is just as amazing- and lacks that sticky summertime heat as well, LOL. Maybe less beach time, but apple picking and fall foliage is not to be missed. Have you been to upstate NY or Vermont in the fall? Amazing. Don’t put your suitcases away yet- summer is still here, and fall leaves a lot to do as well. While you are traveling, it’s important to keep the kids safe and entertained. You will need snacks, drinks, toys and games to entertain them, and of course safe car seats and booster seats, depending on age and weight. When my son was smaller, I always kept a plastic potty and wipes (as well as Clorox wipes for the potty) easily available in the trunk- because potty emergencies were not to be trifled with. 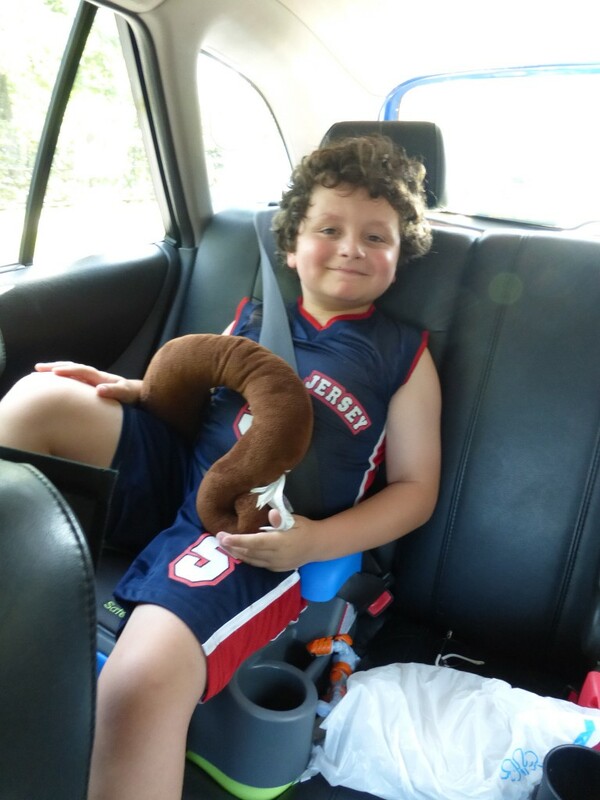 My son is a big boy- while he’s only 7, he has outgrown most booster seats in both height and weight. We just got him his very first backless booster seat from Safety 1st, since the one he has is at it’s absolute max and can’t “grow” any larger- and it’s the biggest one on the market. It’s super easy to use- and it has the added bonus of having storage underneath the seat (as well as the must-have cup holders). Anyone who spends a long time in the car knows how annoying it is to have the sun in your eyes. Not only is it bothersome, but also it’s not great for your skin or eyes. Protect your little ones with cute window sun shades, also known as sun screens. Some have suction cups that stick to windows, but those (just like the ones on your GPS unit) never stay “stuck on” for long, do they? 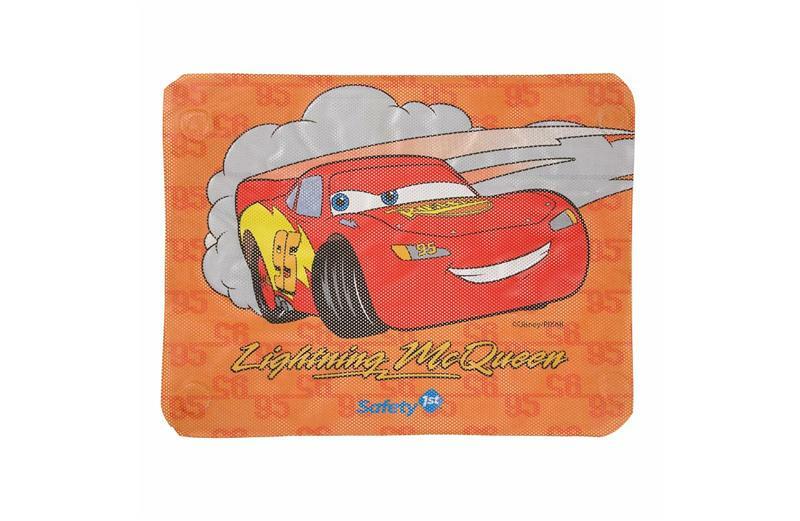 These cuties from Safety 1st are more durable- they glide right onto the window like a wall decal or bumper sticker- and yes, they are removable with no residue. Once you remove them, they never stick again quite right, so put it where you want it to go the first time. The only drawback is that you can no longer roll down the kiddo’s window- but with small kids, you know you can’t really do that much anyway, or they will toss their toys out while you are driving, yeah? Ha. You can open it a bit at the top as long as you position it right. I say it’s the best of both worlds, and it’s what we have done more then 90% of the time since my son was born. My son, tall as he is, sometimes has a hard time with hotel beds- they can be very high and hard for him to get onto. When he was little, he also had a hard time reaching the sinks. At home, this was not a problem, but when were were out and about…..this was most troublesome at night, when he had to use the bathroom. He would have to wake me up to help him (at least) back into the bed, and with the sink. An easy remedy is to bring a small, light step stool with you. 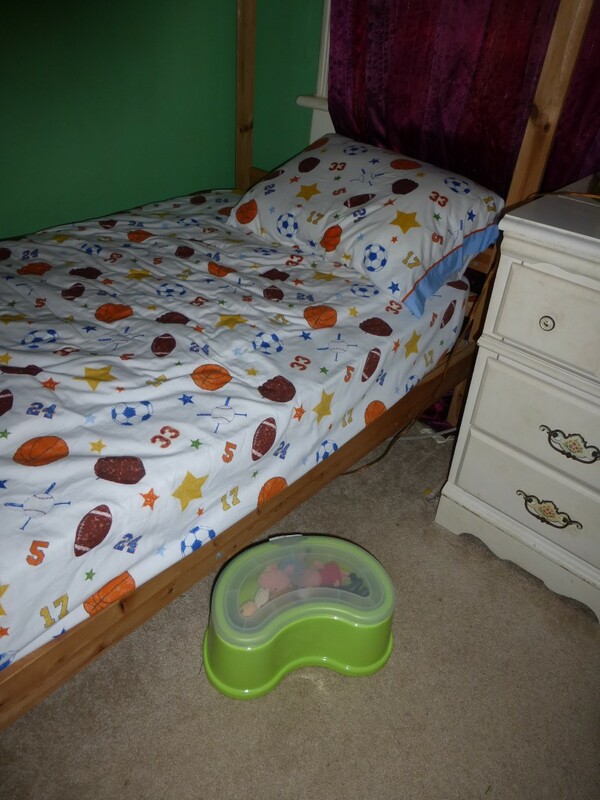 The child can use it for the bed, and take it with them to the bathroom if they need to as well. I love this Safety 1st stool- it also curves to the potty should you be training, and it has storage space inside (for extra diapers, underpants, and those ever-necessary baby wipes.) It is also small, sturdy, and lightweight, so quite easy to travel with. One of you can win this exact prize pack! Please feel free to enter to win by using the RC form below. Note- ends Oct2, 2014. Good luck! I would keep this for my son as it is perfect for his age and his stage. This would be great for my grandkids. I would give to them for Christmas. These things would be for my daughter. She is nearly 3 going on 13! I am so excited, I hope I win. I want this for my Niece, she is expecting a new baby this month and it would make a great shower gift for her. I would love to win the prize. I would be keeping it for myself if I did. If I won this would be for my sister to use with my oldest niece. I am excited! I hope I win the prize. I would love to win this prize pack for my grandson! We could really use this when he comes to our house, we are always afraid we will forget to get his carseat out of his mommas car before she leaves!! I would like to win this so that I have my own car seat for my vehicle. When I watch the grandkids they have to leave me their car seat and it’s a pain to install it. Then, if I forget to have them leave me a seat we can’t go away. If I win I would have my very own seat and no more seat swapping — Grandma needs her own car seat! This would go to my youngest son. He is using the same booster than his older siblings did. The booster (similar to the one above) hasn’t changed, but he could certainly use a new one! I would give this to my son. He could use a booster seat for my husband’s car so we don’t have to always switch. He could use a step stool in his bedroom. I have 2 nieces that are both pregnant right now ….I would love to win this for them. Thanks for the great giveaway! My first grandchild is due in January. So, depending on what my daughter gets at her shower, I will either give to her or keep at my house for visits. I would keep this for my son his booster seat is a uncomfortable for him. I would give this to my sister for my niece. I would use it for my 5 year old. I would keep this prize for my son if I won, he will be out of his carseat and ready for a booster soon! I hope I can win this for a friend of mine who could really use a booster seat. and then maybe she can let me borrow it in a few years when I will need it! this is such a great prize! I would love to win these for my daughter. we could def use the booster one day. I’d keep this prize for myself! I know this may seem crazy but my husband and I have yet to conceive yet. However, we have started accumulating items for our ‘one day’ child–let’s just say we can’t wait. I would give this to my cousin for her little boy. I am excited! I hope I win the prize. I’m telling you right now, “empty nest” never happens! Not when you have grandkids! I could use this for ourselves! We never seem to go anywhere or do much without several of the grandkids with us. Nice prize. I will probably keep this for ourselves. I am excited! I hope I win the prize. If I win, I will be using this with my son! I love products from Safety 1st, and this would be a fantastic prize to win. Thanks so much for having this giveaway. It would be for my boys. We have four little guys (ages 8, 5, 3, and 15 months), and another on the way! We’d be thrilled to win! I would give this to my sister in law for her children. Thanks for the great giveaways! I would love to give this to my son. He’s old enough to want to do big boy things, but he is still really little in stature, so the stool in particular would be a big help. I would give this prize to my good friends whose amazing little boy is growing so fast. He is physically growing but also learning, inquiring, doing. I know they would all be appreciative and definitely would use everything. I am excited! I hope I win the prize. I would keep it for my son, he’d LOVE it!!! Thank you so much. I’d like to win this prize for my young niece. I am excited! I hope I win the prize. Thanks. I would keep this prize pack for my youngest son who will be 3 in a couple weeks! My brother. They are about to have a baby and this would be perfect. M sister is pregnant with her first baby. I would love to win some nice gifts for her baby shower! She would love it. I would keep this prize to give to my daughters. I am excited! I hope I win the prize. This prize would be for my youngest son, I would be beyond thrilled to win. Thanks so much for the chance. 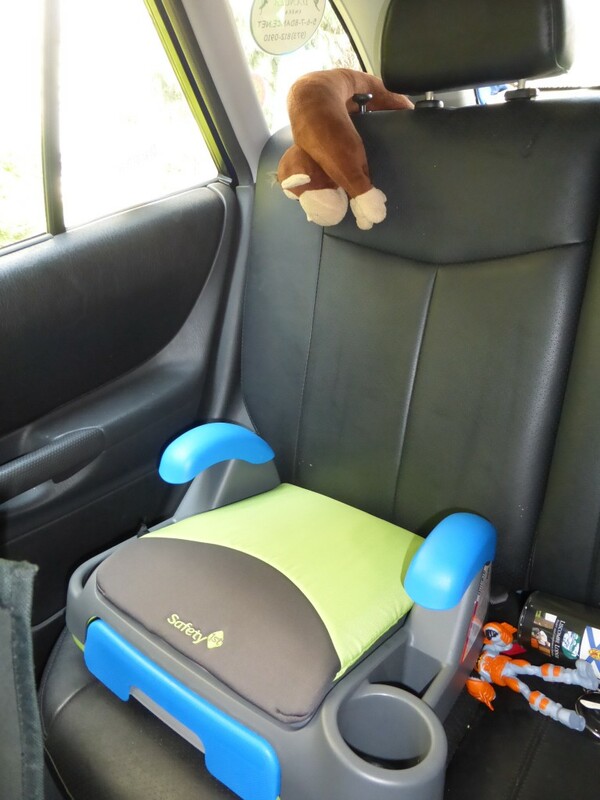 We had a Safety 1st car seat for my older son and had a great experience with it. I would be winning this for my grandbabies. It would be great to surprise my daughter with something so nice as a shower gift. I would love to give this to my sister in law for her two boys! I’d use this for my little girl. This would be perfect for our SUV. I would actually keep the it in my car so when I have my grandson he can use it. It’s pain switching them from car to car all of the time. i would like to get this so i can give it to my friend. She is expecting in November and I think this is perfect for her and her baby. I would love to win this prize!!! I have two boys aged 2 and 4 so all of these items would be perfect for the two of them and are on my wish list right now! !